All ELSD students and busses have been dismissed and are currently on time. Thank you and have a good weekend. Ashkar students were moved to the HS due to a concerning note. They will be dismissed for their normal departure from the HS. If you wish to pickup your child, do so @ 2:30 or before from the HS lobby. ELSD will be conducting safety drills in each of the buildings this week. If you have any questions, please contact the office of your child's school. 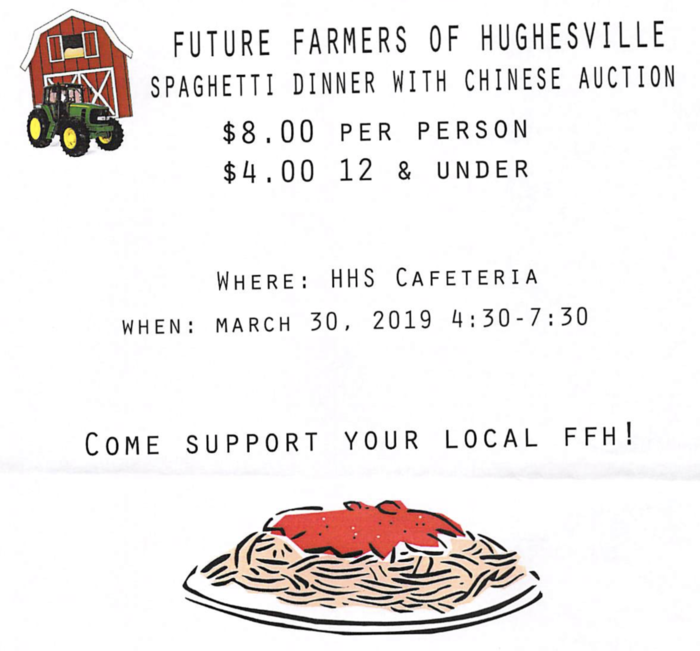 Come out to support our HHS Future Farmers of Hughesville at their Spaghetti Dinner w/ Chinese Auction! March 30th from 4:30pm - 7:30pm in the HHS Cafeteria. $8 per person, $4 12 & under. Incident occurred at Hughesville McDonalds this AM involving a young male and a state police officer. Male was quickly apprehended across the street. No danger to ELSD students at any time. Reminder: Technology Innovation Center open house tonight @ 7:15pm in the HS. Come see our robot and virtual reality labs, plus much more! School will be in session on March 11 and April 18 as snow make-up days. All ELSD schools will be operating on a 2-hour delay on Monday, 3/4/2019. All ELSD schools will be operating on a 2-hour delay for Thursday, 2/21/19. All ELSD schools will be dismissed at 11am due to upcoming weather conditions. All ELSD schools will be operating on a 2-hour delay for Wednesday, 2/13/19. All ELSD schools will be closed today due to current weather conditions. 2/12/19. Reminder: If you have pre-registered for the STEM event @ Ashkar on Sunday 2/10/19 from 1-5pm, please arrive by 4pm in order to see all the events. This event required pre-registration. Bus #8 Update: Bus is working and will be taking kids home this afternoon. Bus#8 Update: Bus will not be running today, please bring your child to school. If you can't bring them, they will be excuses for today. For parents of children riding bus #8. The bus is experiencing mechanical problems. Please keep children of bus 8 inside, further instructions will follow. All ELSD schools will be CLOSED on Thursday, 1/31/19. All Ashkar, Renn, and Ferrell Elementary 100 day activities will be postponed until Thursday. All ELSD schools will be closed today due to current weather conditions, 1/29/19. This message is from the east lycoming school district. Bus 13 is now running 30 to 45 minutes behind due to mechanical issues and roadways blocked by tree trimmers on January 28, 2019. This message is from the east lycoming school district. Bus 13 will be running approximately 15 minutes late this morning, Monday, January 28 due to mechanical problems. All ELSD schools will be operating on a 2 hour delay today, 1/24/19. We will be bringing back our text alert system. If you would like a text message for district-wide alerts including delays and closing, text the word ELSD to 41411 to subscribe. This will not replace our current calling/texting system but will be in addition to it. Due to inclement weather, all ELSD schools will be dismissed @ 12:30pm today, 1/23/19. All ELSD schools will be operating on a 2-hour delay for Tuesday, 1/22/19. The Jr-High awards assembly will begin @ 10:15am. Good evening, please be advised that ELSD will be conducting safety drills in all schools between now and 12/21. Giving Tuesday..Please support the East Lycoming Education Foundation. All funds raised will go towards our "Summer Fun Camps". Last year over 200 kids participated free of charge. a $30.00 donation pays for one student to attend. Please go to www.eastlycomingef.org to donate! Good Morning!! Because of the snow day on Friday November 16th, 2018, The first make up snow day will occur on Tuesday, November 27th, 2018. This will be now be a regularly scheduled school day. Due to inclement weather conditions, the East Lycoming School District will be operating on a two-hour delay, Friday, November 16. All After school activities for this afternoon have been cancelled for today, including the fitness center. ELSD: Due to inclement weather, all schools will be dismissing at 11am. Please join us for the Veterans Parade at 2:00 pm in Hughesville. If you are a veteran, we would also like to invite you to come to the Hughesville High School cafeteria after the parade to eat! THANK YOU VETERANS! If you cannot make the parade in person today, you can still see it, please watch our live stream of the event. The link is on our Facebook page. THANK YOU VETERANS! Congratulations to the students and staff of the George A. Ferrell Elementary School. 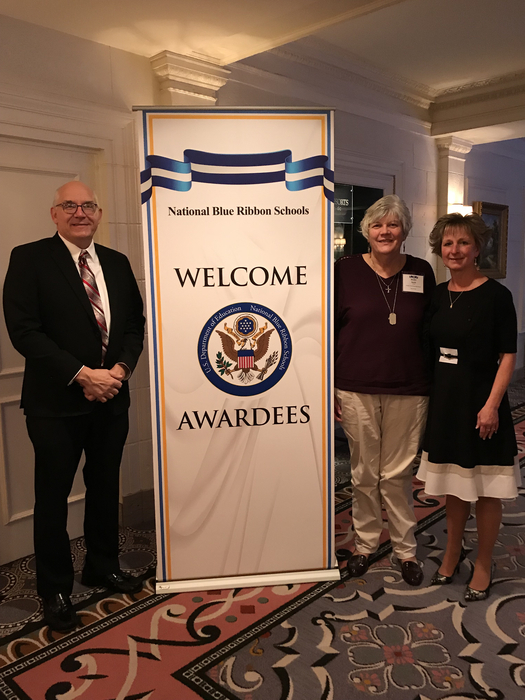 2018 National Blue Ribbon School award winner! One of only 19 in Pennsylvania. JV football is in action at home tonight at 6 pm against Muncy. Bus 6 will be running 30 to 45 minutes late today Friday October 26 due to a vehicle accident and roads being closed in the Lairdsville area. Thank you. Due to an accident on 118, Life Flight will be landing near the school. Parent pick-up for Renn Students will be at the fire hall. All air quality tests have been returned from Renn Elementary with no issues. Renn will reopen tomorrow morning, Tuesday September 18th. ServPro was at Renn on Thursday and Friday cleaning the school. They will be back at Renn today to clean a few areas identified by our Environmental Consultants Saturday morning. Renn will be closed Monday to allow for air quality testing to occur. ServPro was at Renn on Thursday and Friday cleaning the school. They will be back at Renn on Sunday to clean a few areas identified by our Environmental Consultants Saturday morning. Renn will be closed Monday to allow for air quality testing to occur. The East Lycoming School District brought in an environmental company to inspect district buildings. As part of the inspection, they identified a few areas of potential mold concern at the Renn Elementary building. The samples have been sent to be analyzed to determine if mold is indeed present. Until the samples are returned, Renn Elementary School will be closed. Results are expected to be returned by the close of business on Friday. All other district buildings have been inspected, no issues were identified and they will remain open. Additional information will be released as received. The Military Appreciation Football Game this evening will be streamed live. 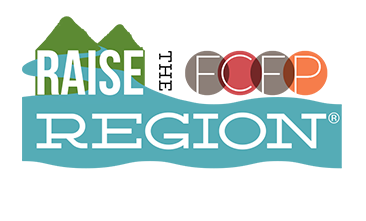 The link is: https://livestream.com/eastlycoming/events/8359058 Festivities begin at 6:30. All veterans and currently serving members of the military are invited to participate. Junior High Softball practice cancelled for today. Graduation will be indoors tonight. Gym Doors will open at 6:00. 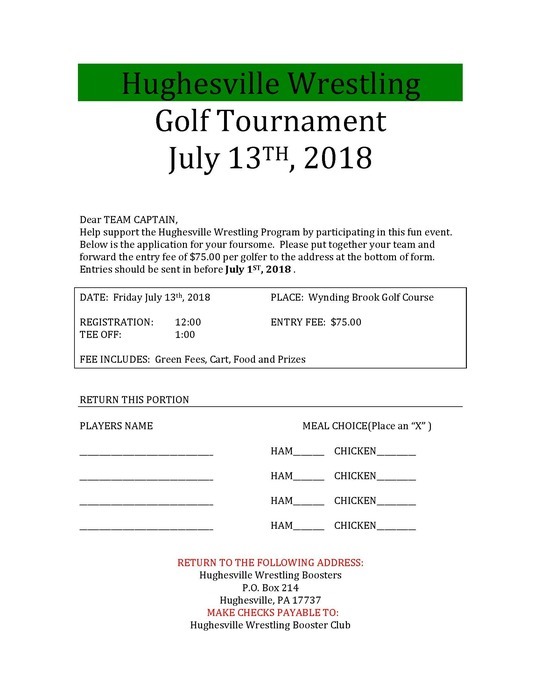 Tickets are required to enter the gym. The auditorium is available for livestream viewing for anyone who does not have a ticket. Softball playoff game versus Mifflinburg for today has been postponed until 5/23/18 at 4:30 pm. Congratulations to HHS Junior, Olivia Bender, who recently attained the Girl Scout Gold Award, the highest rank in Girl Scouts. She received her award on May 12th. #Spartan Pride! Congratulations to Kade Heckel, ELSD's newest Eagle Scout! Congratulations to Sam Thompson and Kade Heckel on their selection as 2018 Carl E. Stotz Little League Scholarship winners. They represented Hughesville well at the Stotz Scholarship Luncheon today. Spartan Proud! Softball for today has been postponed. Make up date TBD. Baseball game today versus Bloomsburg has been postponed. Next game set for 5/16/18 at Bodine Park. 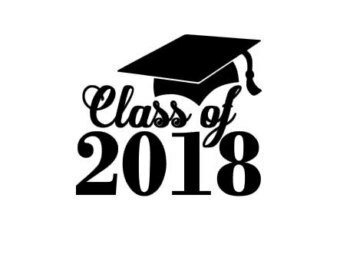 Ashkar Elementary 6th grade graduation will be held on Tuesday May 29th, 2018, at 7 pm in the high school gymnasium. A dance will be held in the high school cafeteria immediately following graduation for students only. Parent will pick up their children at 9 pm. This date is a change from the original date due to the A/C system is not working to full capacity. Any questions please contact your teacher. The Spring Arts Festival begins this evening. The art display is from 6-8 in the gym and the Senior High Choral Concert is at 7:00. Tomorrow the Elementary Chorus and Band will be performing at 7:00. Spartan Spectacular is Sunday at 3:00! Always a great show. Please join us for the HHS Concert Band’s annual Spartan Spectacular THIS Sunday, April 15th at 3pm in the HS Auditorium. Congratulations to Jacob Reynolds, Eric Karschner and Zach Butler for their first place win in Network design at the FBLA State Competition. They are now headed to NATIONALS! Good luck to our Drone Hacking Team at their competition at Bloomsburg University on Saturday, March 24th! It's a great day at East Lycoming! Welcome to the new East Lycoming website!